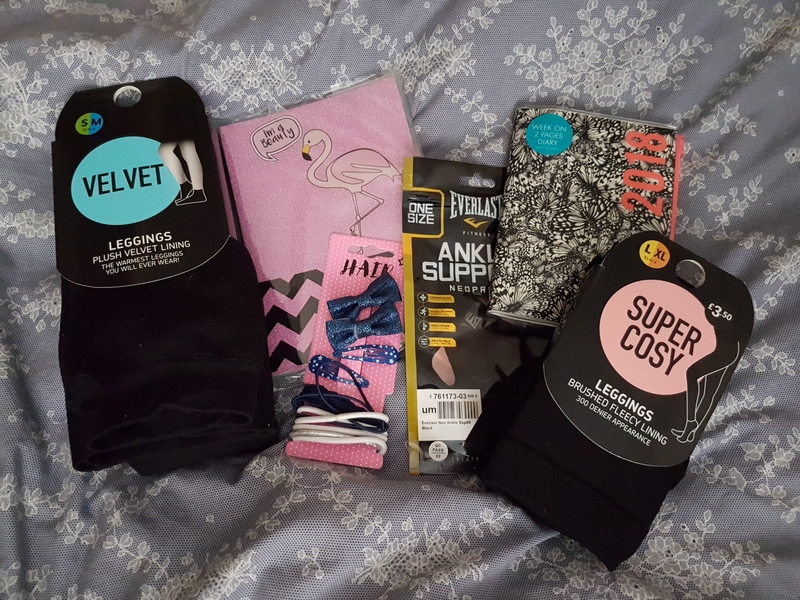 Velvet Leggings, Super Cosy Leggings- Primark. Someone who uses a wheelchair it’s very important to have clothing items that will keep you warm, to either wear under clothing or by it’s self, not that just be wearing these when in wheelchair, be used if using my crutch for for shorter distances. I’m A Beauty Notebook- Poundworld, this is for my blogging to stay organise, already written couple of pages not even had it long. Hairclips- Superdrug. I’ve not needed any hair clips/bands since I done the big chop, if you wondering what I’m on about, it’s all in this blog post, just click here. The remaining hair bands either on it’s last leg, snapped, gone missing, or just way to small. So this was must. Ankle Support Brace- Sports Direct. In my previous blog click here, I spoke about my sprained ankle. Well after seeing my Doctor, did suggest wearing some form of support for it. I didn’t realise how helpful it be, I suffer with restless leg syndrome yes I know you like can’t keep up with what you have, but I do talk about it on my blog, if interested knowing post done click here. I wear brace when I go to bed mainly, because have no control on my movements, not that I do during the day as FND can be present sometimes, but you get my drift, safety and all. And of course new Diary 2018- Paperchase. It’s just become tradition for the last couple of years for my diary to be bought from there, granted my partner started it, only this year I chosen it, as he usually goes out buys it, but I decided to be bossy pants this year, haha. Did buy pair of jeans, however they be featured in outfit post instead, so stay peeled for that, in the future. So cute I love the flamingo diary!